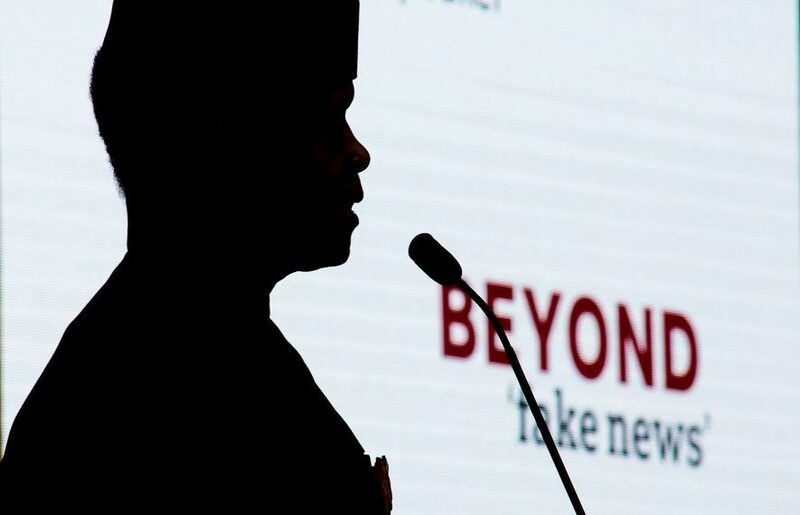 The Vice President, Yemi Osinbajo stirred the hornetsâ€™ nests when he said that voting for Buhari in the 2019 Presidential election is the only way the Yoruba race would reclaim the Presidency in 2023. On the surface, the comment appears innocuous; after all, the Vice President was merely wooing the zone to vote for his continuation in office. However, a critical evaluation would reveal the skewed clannish thinking of a Nigerian national leader and the dangerous role ethnicity is playing in our body politic. Those with such clannish mentalities are obviously unfit to serve as leaders. And yet, today, the country is saddled with the inglorious fate of having leaders at the highest levels of government who are die-hard ethnic chauvinists. Osinbajoâ€™s appeal to his tribesmen was not one made under the spur of the moment. It was a well thought out agenda whose validity and endorsement had earlier been advanced by Bola Tinubu soon after a closed door meeting with Buhari. Babatunde Fashola, the minister of Power, Works and Housing also spoke in the same vein. Of course, it is difficult to argue that the agenda is not enjoying the support of President Muhammadu Buhari. There is obviously a conspiracy against the South East which remains the only geopolitical zone in the southern belt yet to produce the President of Nigeria since the inception of the third republic in 1999. It is instructive to note that a few weeks ago, the Secretary to the Government of the Federation promised Ndigbo in Owerri that President Buhari would handover to a Nigerian President of the Igbo extraction in 2023. The Presidency is singing discordant tunes, unwittingly sending suspicious signals of nursing ulterior motives. The script seems to be woven around coercion, deceit and manipulation. Here, the issue of equity, fair play and good conscience is not a matter for consideration. The destiny of an entire race is being tied down to the fortunes of one man. Now the Igbo peopleâ€™s freedom of democratic choices without encumbrance can be actualized if only they would be willing to acquiesce to the Presidentâ€™s wish for a continuation in office. Assuming both the Southwest and the Southeast eventually vote for Buhari in 2019, which of the geopolitical zones would he handover in 2023 after securing victory at the poll? He would certainly reward the Southwest for showing greater loyalty. So the Igbo people do not have any stake in the Buhari Presidency. Moreover, the pendulum of victory is swinging towards Atiku in whom the Igbo people would certainly actualize their aspiration. By insisting that restructuring the Nigerian state is not necessary, Buhari has already sent obvious signal to the Igbo people that their cries of marginalization are unfounded and without merit. Buhari does not in any way hold any genuine promises for the Igbo nation, both in terms of political opportunities and personal willingness to assist. He will most likely lose the 2019 Presidential election. Even if he wins, the Igbo people do not stand any chances of getting a better bargain in the scheme of things. The carrot the Buhari administration is dangling before the Igbo is both spiteful and demeaning. More than any other government in the history of this country, the Buhari administration has treated the Igbo with scorn and disdain. And now, in the midst of visible marginalization, Buhari is dangling the prospect of an Igbo presidency before the Igbo in a manner that smacks of mockery. He knew exactly the geopolitical zone he is prepared to hand over power to if he continues in power after the elections. Tinubu, Osinbajo and Fashola, already aware of the game plan as Buhariâ€™s confidants are assuring their people of what is in the offing. This has reinforced the conviction that the present administration is determined to pursue and maintain the status quo of marginalization of the Southeast geopolitical zone in all strata of governance in the country. Given the Igbo experiences in the past four years of Buhariâ€™s administration, there is no way they would be favourably disposed to voting for Buhari in the 2019 Presidential election. Why is a Nigerian President of Igbo extraction absolutely necessary and politically expedient? It is not because the Igbo nation expects one of their own to appropriate the common wealth of the nation to the zone, but their quest is simply anchored on the principles of natural justice, equity, fairness and good conscience. Beyond this, the people would have at least some respite from institutional marginalization of the past 48 years after the Nigerian civil war. The zone would have a sense of belonging and would actually believe in the Nigerian project. Moreover the struggle for self-determination by the people would likely die a natural death. The Nigerian nation is today mired in ethnocentric quagmire because those wielding power at the centre have been promoting a sense of national leadership in which the interests of the leaders are first and foremost hinged on deliberate efforts at advancing the welfare of tribesmen rather than on the common wellbeing of the entire nation. What we are witnessing is a country where the President has appointed his tribesmen to the choicest positions in government, reserved strategic areas of defense and security for his kin and kith without regard for equity, justice and fair play in dealing with people from other tribes. How long would the Igbo people writhe in the pains of injustice and marginalization? Osinbajo is opposed to restructuring of the Nigerian state because he is daydreaming about another eight years of the Yoruba Presidency after he must have been the second-in â€“command for eight years. Perhaps, after that, he would suddenly become one of the greatest exponents of practicing true federalism in Nigeria. The hypocrisy of the current crops of Nigerian leaders is profoundly boundless, most of who are often held captive by self-serving interests. The Igbo people are insisting that what is good for the geese is equally good for the gander.